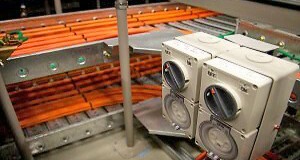 We specialise in services delivery to the Fibre Optics, Telecommunications, and Electrical industries. ASTELEC is in the business of providing ‘full service’ project delivery for specialised aspects of civil, electrical and technical infrastructure to equipment manufacturers and major contractors in the communications network construction, installation and service market. ASTELEC takes pride in its reputation within the Telecommunication construction industry for its proactive and responsive management and staff, as well as it’s proven “end to end” full project delivery in specialised projects for major equipment manufacturers and constructors. Astelec helped build the Adam Data Centre. Astelec was intimately involved from the start of the Adam DC Stage 1 & 2 projects. We assisted at various levels throughout the build process such as Power design and installation, cable distribution, flood mitigation, caging solutions, fibre termination & building entry and pathways etc.